We Offer 0% Down, Interest Free Financing! Fix It Right, Fix it Now! Quality 1st Basement Systems participates in Stuff the Bus (sponsored by United Way of Monmouth County) to raise school supplies for children in need. Quality 1st Basement Systems is proud to participate in the annual "Stuff the Bus" School Supply Drive held by United Way of Monmouth County. Will you help support the future of our community as well? Not every child can afford new school supplies. United Way of Monmouth County hopes to change that with Stuff the Bus campaign, a donation program designed to help get school supplies into the hands and minds of children in need. Quality 1st Basement Systems is participating in the program, and will be collecting donations until August 7th. Stuff the Bus is using an online platform called Roonga, which makes donating to children in need as easy as clicking a mouse. Items purchased through the Quality 1st Basement Systems Team Roonga Page are shipped directly to United Way of Monmouth County for free, where they can then be distributed to children in need. Quality 1st Basement Systems will also be collecting donations at the office located at 359 Route 35 South Cliffwood, NJ. Quality 1st Basement Systems is requesting school supplies like construction paper, backpacks, watercolor paints, washable markers, spiral notebooks, “beginner’s” pencils, and more. 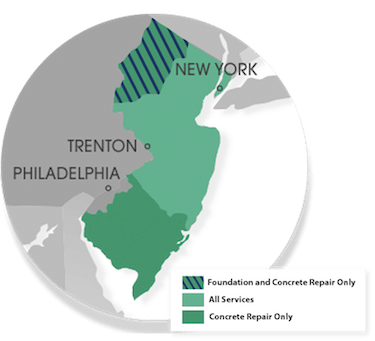 Donators can either order supplies online through Quality 1st’s Roonga team page, or drop them off at the Quality 1st Basement Systems office in Cliffwood, New Jersey. The United Way describes the campaign, "United Way of Monmouth County welcomes you to join for our 2015 Stuff the Bus drive as we work together creating a positive, permanent impact on education in our community. Our Stuff the Bus drive provides elementary and middle school students in need with brand new school supplies. We will be supplying these items directly to the schools in order to ensure that children with the greatest need receive them in the shortest time possible"